After the polarizing reception its predecessor received, Ridley Scott has lowered his ambitions considerably with Alien: Covenant. The new entry in the decades old franchise foregoes the thoughtful ruminations of Prometheus and strives to be an unabashed crowd pleaser hoping to win back audiences. But in aiming for the so-called “return to form,” Covenant comes off as a clumsy step backward for the once venerable franchise. 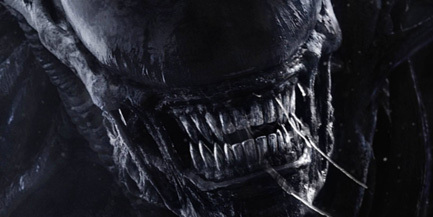 It’s been almost 40 years since the infamous tag line “In space, no one can hear you scream,” heralded the arrival of a horror/sci-fi masterpiece. Alien, directed by Ridley Scott, became a classic and a cultural phenomenon whose influence is felt to this day. Seven years later, the sequel, Aliens, directed by James Cameron, garnered similar acclaim and box office success. Although it mostly eschewed the horror elements in favor of action movie tropes, it’s also considered a classic and a benchmark for all sequels. However the following entries did not please fans or critics in the same way. And the box office returns diminished accordingly. By 1997, after the fourth entry, Alien: Resurrection, it seemed the series had gone off the rails.